At the end of the fifteenth century, the Spanish Inquisition forced many Jews to flee the country. The most adventurous among them took to the high seas as freewheeling outlaws. In ships bearing names such as the Prophet Samuel, Queen Esther, and Shield of Abraham, they attacked and plundered the Spanish fleet while forming alliances with other European powers to ensure the safety of Jews living in hiding. 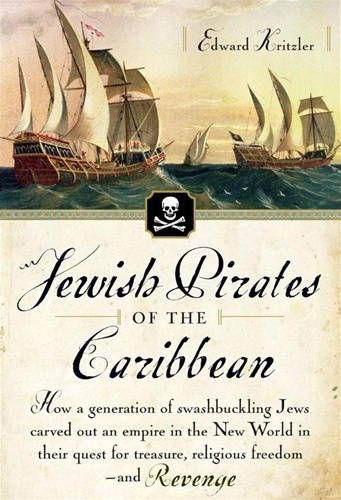 JEWISH PIRATES OF THE CARIBBEAN is the entertaining saga of a hidden chapter in Jewish history and of the cruelty, terror, and greed that flourished during the Age of Discovery. 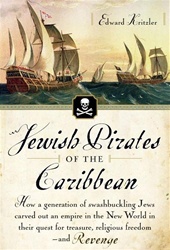 Readers will meet such daring figures as â€œthe Great Jewish Pirateâ€� Sinan, Barbarossaâ€™s second-in-command; the pirate rabbi Samuel Palache, who founded Holland's Jewish community; Abraham Cohen Henriques, an arms dealer who used his cunning and economic muscle to find safe havens for other Jews; and his pirate brother Moses, who is credited with the capture of the Spanish silver fleet in 1628--the largest heist in pirate history. Filled with high-sea adventuresâ€”including encounters with Captain Morgan and other legendary piratesâ€”and detailed portraits of cities stacked high with plunder, such as Port Royal, Jamaica, JEWISH PIRATES OF THE CARIBBEAN captures a gritty and glorious era of history from an unusual and eye-opening perspective.